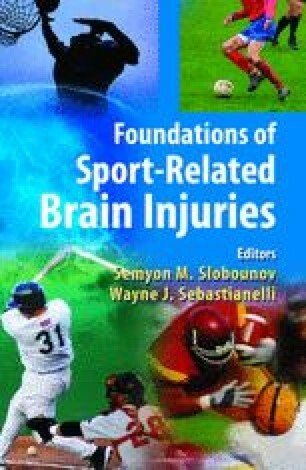 The purpose of this chapter is twofold (1) to provide some general information on the psychology of injury, specifically emphasizing the issue of fear of injury in athletes; and (2) to explore the collegiate coaches’ perspective regarding the causes and consequences of sport-related injuries including traumatic brain injuries. Several predisposing factors for development of fear of injury were identified, including gender, classification of injury in terms of its severity, and the number of previous injuries. These findings were shared with several collegiate coaches via personal interviews. Coaches’ perspective and views on injury are described including the discussions of various notions regarding the causes and consequences of injury, including traumatic brain injuries in collegiate athletics. Clearly, as evidenced by coaches’ responses, more education and knowledge about the causes, symptoms and long-term disabilities as a result of traumatic brain injury are needed to identify athletes at risk and to prevent brain injury in athletics.